Quantum physics, which describes the strange behavior of light and matter at the smallest scales, is one of the most successful descriptions of reality, yet it is notoriously inaccessible. Here we provide an approachable explanation of quantum physics using simple thought experiments that deal with one- and two-particle interference. We derive all relevant quantum predictions using minimal mathematics, without introducing the advanced calculations that are typically used to describe quantum physics. 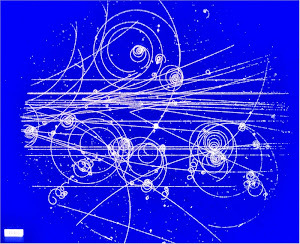 We focus on the two key surprises of quantum physics, namely wave-particle duality, which deals with the counter-intuitive behavior of single quantum particles, and entanglement, which applies to two or more quantum particles and brings out the inherent contradiction between quantum physics and seemingly obvious assumptions regarding the nature of reality. We employ Hardy's version of Bell's theorem to show that so-called local hidden variables are inadequate at explaining the behavior of entangled quantum particles. This means that one either has to give up on hidden variables, i.e. 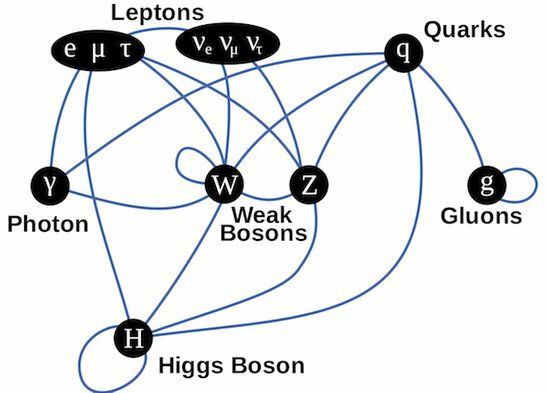 the idea that the outcomes of measurements on quantum particles are determined before an experiment is actually carried out, or one has to relinquish the principle of locality, which requires that no causal influences should be faster than the speed of light. Finally, we describe how these remarkable predictions of quantum physics have been confirmed in experiments. We have successfully used the present approach in a course that is open to all undergraduate students at the University of Calgary, without any prerequisites in mathematics or physics. Bell's theorem indicates a deep contradiction between quantum physics and EPR's seemingly obvious assumptions about reality. Surprisingly, experiments demonstrate quantum physics to be correct and rule out the intuitively appealing possibility of local hidden variables. This implies that measurement outcomes are either not predetermined at all, or they are determined by nonlocal hidden variables, such as Bohm's pilot wave model. My only quibble with this is that it is a sloppy about the alternatives to hidden variables. Yes, experiments have ruled out local hidden variables. Nnonlocal hidden variables are possible but foolish; who wants a theory where inaccessible variable have magical effects at a distance? Such theories are useless and misleading. This leaves us to conclude, according to the paper, "that measurement outcomes are either not predetermined at all". In other words, it says, we must reject "the idea that the outcomes of measurements on quantum particles are determined before an experiment is actually carried out". There are actually two possibilities here. One is that photons, and other quantum objects, have a free will of their own where they can decide what properties they will have, within the range of possibilities. That is, the physics is not determinist. The other possibility is that the outcomes are all predetermined in some physical sense, but not as mathematical variables like real numbers. Suppose you fire a photon at a screen, thru a double slit. Maybe its path is determined once it passes the double slit. Maybe it is determined even before the slit. Maybe the photon is still deciding what it wants to be right up to the point that it hits the screen. Our experiments cannot really distinguish between this possibilities. What we can say is that you cannot model the photon by introducing some non-measured variables like which slit the photon is passing thru. It doesn't work. The experiments show that. My view is that we do measurements with real numbers because that is the only way we know how to make observations. But there is no reason to believe that a photon can be fully described by real numbers. Photons are strange objects. So are real numbers. But they are not the same. If you have a single electron, then it appears that you can describe it by a wave function okay. The above paper does a good job of explaining this. But with two particles, they can be entangled. 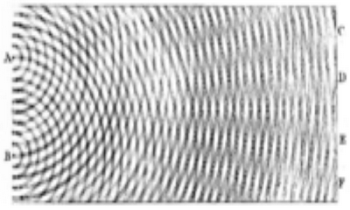 Then wave functions can still predict experiments, according to quantum mechanics, but they don't truly match what appears to be the photon internal structure. After all, photons appear to behave locally, but the wave functions seem somewhat nonlocal in the case of an entangled measurement. Quantum mechanics is s positivist theory. It predicts experiments, and if that is all you require, then it is a complete theory. But if you think that you are representing the true internals of a photon with wave functions, forget it. It cannot be done. The wave functions are just tools for predicting experiments. The photons could be sentient beings with their own free will and God-given souls, for all we know, as long as they are constrained to obey quantum mechanics. There are a lot of papers on Bell's theorem that make strong conclusions because of faulty assumptions about reality. The above paper does an excellent job of explaining the experiments that must be accepted. The experiments are not really that strange, as they do not show nonlocality or pilot waves or anything that bizarre. Quantum mechanics is not really so strange, if you let go of your preconceptions about how photons can be modeled. Note: Quantum field theory teaches that photons are not really fundamental, and discussions about photons like the above are convenient simplifications of fields. Astronomers are always claiming that they found a distant planet that might support life, or that there must be millions of Earth-like planets in our galaxy. But there may be no others. Earth has many unusual properties that are essential for life, and that may never be found elsewhere. Mars’s slouch, for example, is currently akin to Earth’s at 25.19 degrees, but it shifts back and forth between 10 degrees and 60 degrees over millions of years. That means that the seasons and climate of the red planet — which is currently experiencing an extreme dust storm — vary wildly. That could create conditions that make life impossible. As such, a stable tilt just might be a necessary ingredient for life. It’s an interesting finding given that the Earth’s tilt never changes drastically thanks to the Moon. And yet astronomers don’t know how common such moons are within the galaxy, said John Armstrong, an astronomer at Weber State University in Utah. If they turn out to be uncommon across the galaxy, it could mean that such stability — and therefore life — is hard to come by. That's right, the Earth has a tilt that is stabilized by the Moon, giving regular seasons over billions of years. Having a single large moon is probably very unusual. Earth also has large amounts of surface water, geologic activity (volcanoes and plate tectonics), a large variety of minerals, etc. It also has a huge outer planet, Jupiter, to further stabilize the orbit. There are probably many other such factors that I don't even know about. We don't have the ability to detect whether distant planets have these features. But common sense would indicate that they would be very unlikely. I think it is likely that Earth has the only intelligent life of this galaxy.